1) There is something inherently Arsenal about going into a game with almost no expectation before threatening to perform and achieve wildly beyond their means, before eventually failing to clear the lowest of bars. Unai Emery wanted the world’s sh*ttest and most dangerous rollercoaster to impose itself on Manchester City on Sunday. The most disappointing aspect of their last meeting in August was not the flattering 2-0 scoreline, rather the limp, meek acceptance of their fate. For the first 45 minutes, the Gunners rose to that challenge. 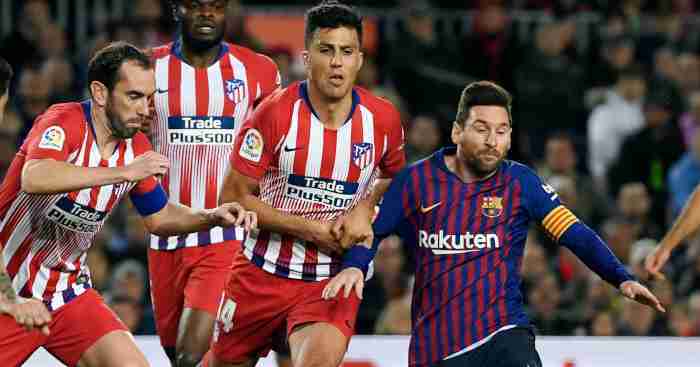 They showed uncharacteristic fight to recover from the concession of an early goal, and went into half-time undeservedly behind. But the waving of the white flag in the second half leaves a bitter taste after a sweet, satiating first half. Had the two been reversed and Arsenal ended the game so confidently, the outlook might be much more positive. 2) The flipside is that Emery clearly has the blueprint to construct a competitive team, but neither the tools nor the full workforce to realise that vision just yet. Arsenal traded blows with a true heavyweight after their sluggish start. Sergio Aguero’s opener came within a minute, yet the Gunners equalised after ten instead of surrendering. They ended the half two goals down, but had four shots to City’s six. It was an even game. The second half was a mere training exercise for the hosts, who had 13 shots while Arsenal failed to muster a single one. Emery is far from blameless for that, but he was dealt a poor hand that he initially played surprisingly well before folding when on the front foot. 3) As for City, they remain an enigma. Another early lead manifested itself into the latest sloppy display both collectively and individually, with only a handful of players maintaining a solid performance level throughout. Neither Jurgen Klopp nor Mauricio Pochettino would have been given too much cause for concern as their Sunday dinners settled. And yes, I assume both a German and an Argentine eat Sunday dinners. City were ordinary with flashes of extraordinary; the exact opposite of last season. Yet despite such complacency becoming a common theme for the champions, they have won nine of their last ten games. The top three really are keeping an incomprehensible pace, drawing some of the worst performances but the absolute best results out of one another. 4) It took just 24 seconds for Aguero to benefit from a defensive lapse in concentration against Newcastle. The wait was almost twice as long but infinitely sweeter and more slapstick here. Arsenal seemed to have the situation under control. Matteo Guendouzi fixed the hole in the boat by intercepting David Silva’s low cross and passing it out, but Alex Iwobi promptly stuck his oar in and sank everyone. He dallied for so long in waiting for an option that Aymeric Laporte grew tired and simply tackled him on the edge of the Arsenal area. 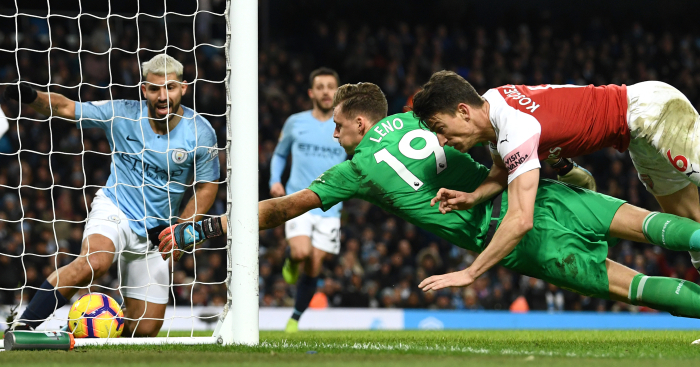 The cross was as perfect as the header that followed, with Aguero stooping to give Bernd Leno no chance. “Arsenal, they’re a lovely opponent, aren’t they?” crowed Gary Neville on commentary. Lee Dixon’s description of “comic-book defending” was a rather more precise way of putting it. Not only was Iwobi’s mistake critical, but Shkodran Mustafi was stood a good five or six yards behind every player: too far behind to block the cross, and too far to the right to head it clear. If a £35m centre-half cannot grasp the basics of defensive positioning, what hope does anyone else have? 5) Therein lies the problem: for all Emery can meticulously plan for any specific game or opponent, he will always be undermined by his own players for as long as he is unable to properly invest in this squad. 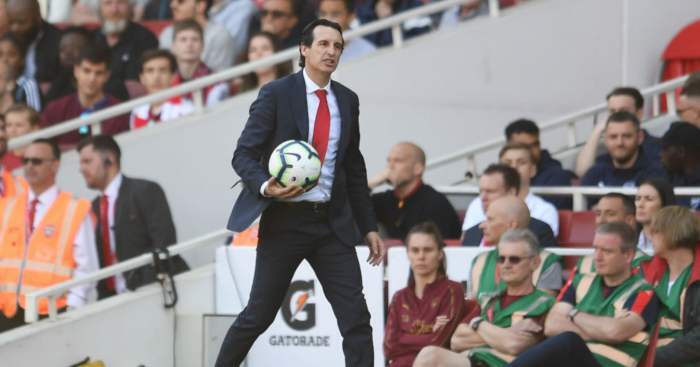 Many will place the burden of responsibility squarely on Emery’s shoulders for this defeat, yet the first goal was the product of two individual errors, the second would have been difficult for any defence to prevent, and the third had a great deal of fortune involved too. When you consider that he is missing his first and second-choice right-backs and two of his three best centre-halves, there has to be a degree of sympathy. It just depends how much of that was eroded by the second-half showing. 6) The curious thing was that City didn’t really go in for the kill. 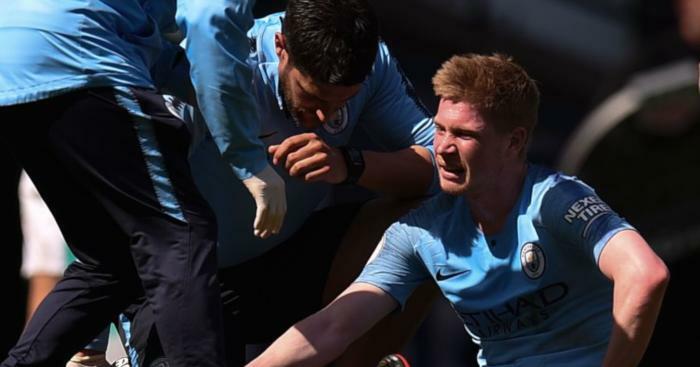 They had wounded the animal but, save for a tame Raheem Sterling effort from a corner in the fifth minute, opted not to finish the job. A minute after Laporte’s header was rightfully ruled out for offside, Arsenal capitalised on their element of surprise. Their first real attack landed at the erratic feet of Iwobi, whose innate panic in possession can sometimes create confusion in the opposition defence. If an attacker does not know what he’s about to do with the ball, how is anyone else supposed to? Pierre-Emerick Aubameyang eventually received the ball but his pass was deflected into the City error by Nicolas Otamendi, and a moment of miscommunication between Kyle Walker and Ederson led to the corner from which Laurent Koscielny equalised. It was a reminder that this City still runs hot and cold, with Otamendi the main culprit. 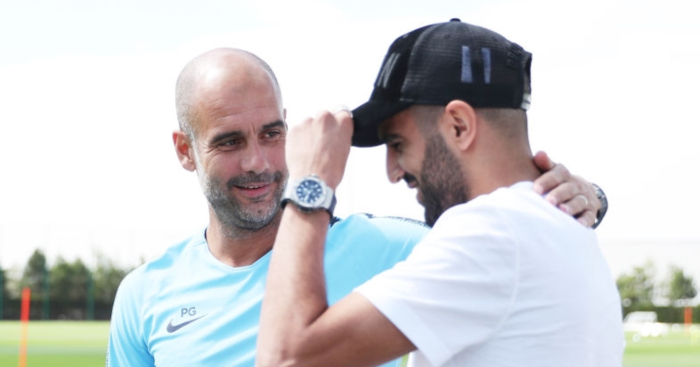 For all the talk of this side scoring 29 goals without reply over the course of seven games recently, that run came immediately after 11 consecutive matches without a clean sheet from November 27 to January 3 – the longest such sequence of Guardiola’s entire managerial career. There is still a soft core in this City side; you just have to crack the hardest of exteriors to get there. 7) The corner was delivered by Lucas Torreira, flicked on by Nacho Monreal and finished cleverly by Koscielny. From David Silva losing Monreal to Sterling quite predictably failing to check the run of Koscielny, it was a painfully preventable goal. It also means City have conceded half of their Premier League goals from set-pieces this season – the highest ratio of any club. For a manager who obsesses over every intricacy of such a complicated game, it is a mystery as to why his side struggles with the most straightforward thing to prepare for. He surely has Tony Pulis’s phone number? 8) From there, Arsenal had their foothold. And the youngest player on the pitch by almost three full years was not about to relinquish it so easily. Guendouzi was one of three outfielders to not misplace a single pass in the first half, making almost twice as many as the similarly flawless Aguero and Monreal. He won the ball back more times (6) than any player aside from Ilkay Gundogan (7). He dictated the Arsenal tempo in both the defensive and attacking phases, and led those considerably more experienced by exemplary example. For a 19-year-old who had played eight games of top-flight football before joining for just £7m in the summer, the Frenchman continues to take giant strides in his development. Guendouzi was Arsenal’s only unqualified success from this game, and by quite a margin. 9) Yet the entirety of his good work was undone with one sublime City move. With two minutes left until half-time, Fernandinho found Sterling in acres of space on the right-hand side. The winger played the ball back to Gundogan, whose lofted pass was inch-perfect for Sterling to volley a cross into Aguero’s path. 2-1. Gundogan’s role in the goal epitomised his overall performance: quiet influence and discreet brilliance, never once taking centre stage. He has been City’s best midfielder since the turn of the year yet has made a habit of slipping far under the radar. The German might not be as capable of the spectacular as Kevin de Bruyne, as tireless, tenacious and technically brilliant as Bernardo Silva or as important to the team as Fernandinho, but he is still a crucial part of this squad. The benched Mesut Ozil would have been proud of his compatriot. 10) But as good as the pass was, it was made even better by the decision of Stephan Lichtsteiner to race forward out of position to close Gundogan down despite a) the ball having long been released, and b) the German already being pressed by Iwobi. 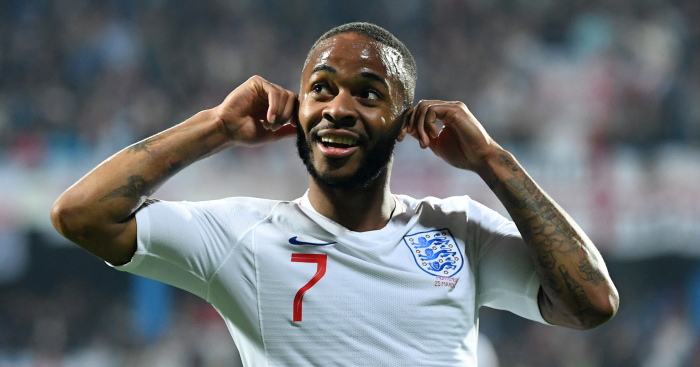 It allowed Sterling – and Bernardo Silva alongside him – to run behind unopposed to cross for Aguero, who peels off more seamlessly than paint applied to an unprimed wall. And an unprimed wall is the kindest possible description for Mustafi. Stephan Lichtsteiner has kept one clean sheet in his last 11 league starts for Juventus and Arsenal. For a player signed on a free transfer, the Swiss has already cost Arsenal so dearly this season. City targeted his side for a reason, and even Carl Jenkinson must have been wondering what this chancer was up to. 11) To compound that problem, Sead Kolasinac abandoned any and all premise of having ever been coached in defending. He was on the left-hand side of Arsenal’s midfield in a 4-4-2, so was tasked with helping Monreal cope with Bernardo Silva, De Bruyne and Walker on the overlap. One tackle, no clearances and no interceptions tells quite the story; he won the ball back just once in 66 minutes. With Arsenal so susceptible on both flanks, Sterling and Bernardo Silva stayed as wide as possible to isolate Lichtsteiner and Monreal, which forced Guendouzi and Torreira to drop back in support and meant Aubameyang and Alexandre Lacazette also had to fall into midfield to help out. It was not such a problem in an out-of-sorts first half for City, but exemplified the gulf between these two sides in the second. That was Emery’s main mistake: not making a change at half-time. The Spaniard has gained a reputation for his mid-match alterations and tactical flexibility, but his first substitutions coming after the hour mark at 3-1 down meant the damage had already been done, and City had long figured out a fairly basic riddle after their early memory lapse. City were allowed to get far too comfortable, and the energy of Aaron Ramsey felt like a huge miss. The horse had bolted about five times before he was given 24 minutes at the end. 12) Just over a year has passed since Stan Collymore described Aguero as not an “all-time great”, and it is no less hilarious now than it was then. 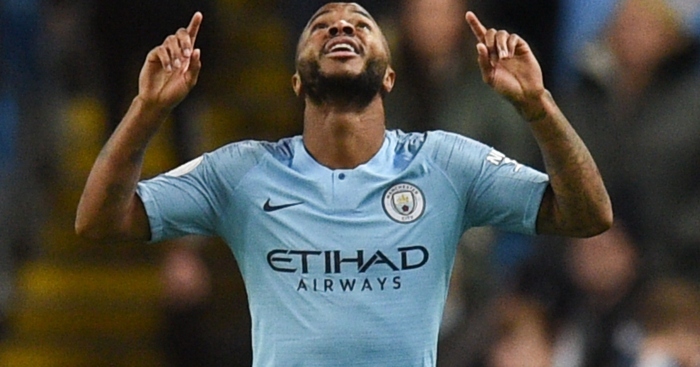 He is the eighth-highest goalscorer in Premier League history, and is almost certain to overtake both Jermain Defoe and Robbie Fowler by the end of the campaign. He has scored at least 20 goals in 11 of the last 12 seasons, netting 17 times in the other. He has scored 40 goals in 62 Premier League games against Arsenal, Chelsea, Liverpool, Manchester United and Tottenham. He has scored nine hat-tricks since Manchester United last scored one. Yet he is destined to depart these shores undervalued and underestimated, his wider reputation – much like City fans’ hearts – set to grow infinitely fonder with his absence. We really won’t know what we’ve got until it’s gone. 13) It was handball, mind. That new rule can’t come soon enough. 14) He could not quite match the brilliance of his Liverpool display last month, but Bernardo Silva will not fail to reach that astronomical bar for the want of trying. Aguero is the only City man who can match his performances in such big games. The Portuguese won the ball back more times (ten), played more passes into the opposition half (51) and created more chances (4) than any other player as he again set the tone on and off the ball. No-one else sums up the balance between natural talent and unnatural hard work that makes this City machine tick quite as much. 15) The post-match dissections will likely concern Arsenal, for there is much more interest in an inquest into that second half. But City deserve immense credit for their part. They improved immeasurably, with Aguero’s second goal perfectly timed. After misplacing 48 passes in the first half, City found a teammate 273 out of 300 times in the second. They had 13 shots, eight on target, and could have won by an even greater margin. As with Arsenal, they had one bad half and one good one. But the problem with playing City is that their good is brilliant, and their bad is still able to match most on their best day. 16) The clamour to denounce Emery and proclaim that a manager who has been tasked with overhauling a 22-year dynasty has failed after just nine months is bizarre. It was a regrettable result and a dreadful second half, but that is worrying short-sightedness. It feels like the inevitable consequence of having six clubs constantly fighting for four places at the top of one division. A single result can rescue a team from or plunge one into crisis at any one time. This week, and after wins for the teams in second, third, fourth and fifth, it is Arsenal. Next week, when the Gunners face Huddersfield and City host Chelsea, the odds are that someone else will take up the mantle. Arsenal have three fewer points than City did after 25 games of Guardiola’s first Premier League season, and that is after much less investment against much stronger direct competition. There is every chance he will not go on to achieve half of what his compatriot has, but he does at least deserve a proper opportunity.